I've had some people call these Flat-bottom oxbows, but I really think that's a misnomer. My style is and has been bell-shaped. 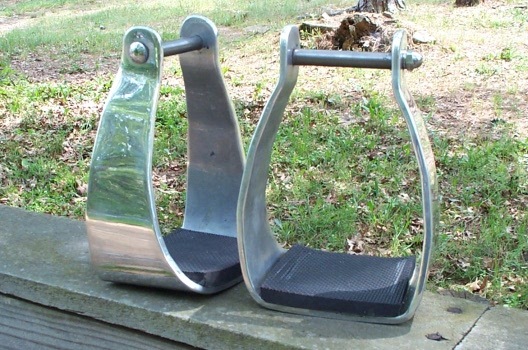 People have asked me if I make a visalia stirrup. Well, no. To me, a visalia is like a triangle, with sides straight up to the transom. 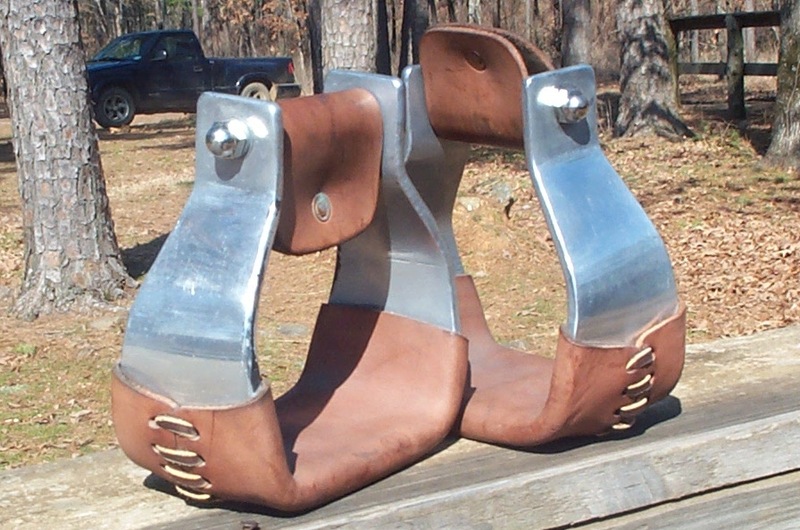 I prefer a bell-shape, which I think allows you more room at the top of the stirrup for the toe of your boot when you exit the stirrup. Also available in Youth, Extra-Large, and Rawhide Covered. Also available in Extra-Large, and Rawhide Covered. Also available in Rawhide Covered. 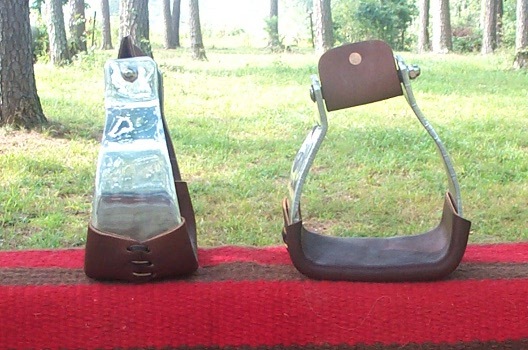 Lightweight, hand-made endurance stirrup. 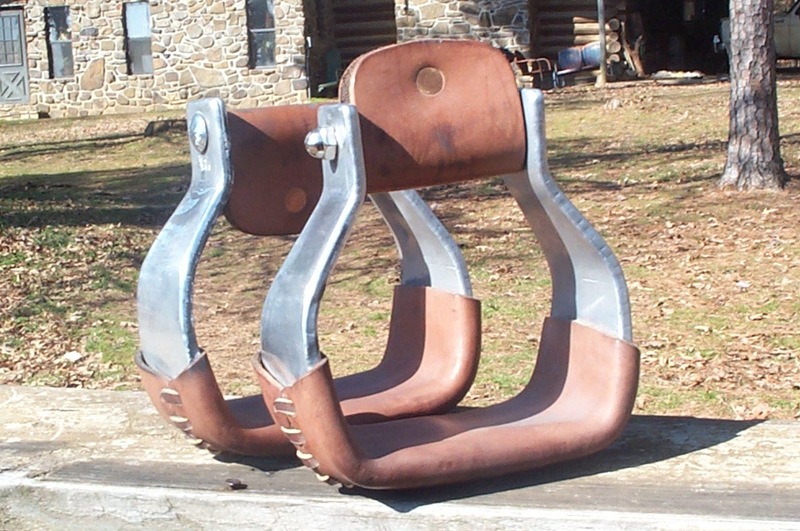 Because these are hand-made, I can make these to fit you and your saddle. Call me.